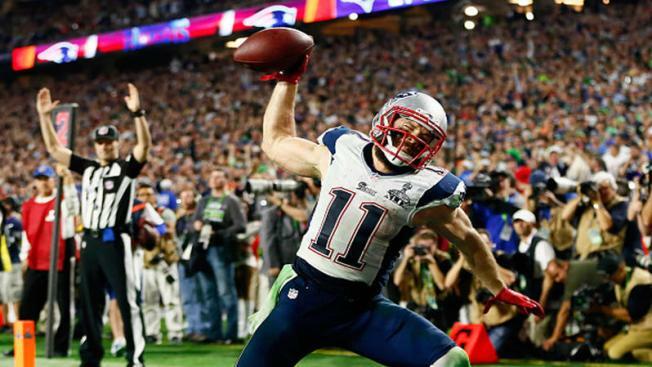 Julian Edelman to Have Surgery Monday; Will He Return This Season? New England Patriots wide receiver Julian Edelman is set to undergo surgery on Monday, but that doesn't necessarily mean his season is over. Pro Football Talk confirmed that Edelman will have surgery Monday, but said it's still possible he could return in time for the playoffs. Edelman sustained a Jones fracture in his foot during Sunday's win over the New York Giants. Dallas Cowboys wide receiver Dez Bryant suffered a similar injury in Week One but was able to return in time for Week Eight. The Patriots have seven regular season games remaining, and could wind up with a bye in the first week of the playoffs if they continue to play well. I feel bad for Edelman. No way he misses the divisional playoff game though. Get better Jules! Julian Edelman expected to return January 16th or 17th. Just in time for the playoffs.